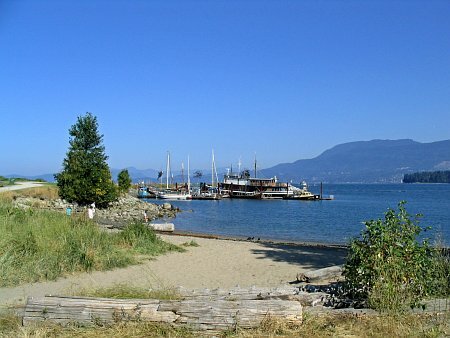 Home of the Vancouver Maritime Museum, Hadden Park is filled with fascinating bits of Vancouver history, with historic vessels often docking in harbour. 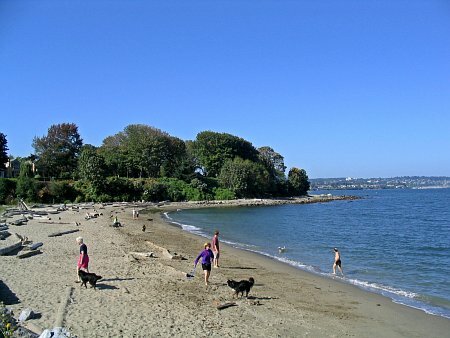 The sparkling waters of English Bay are a popular attraction at most times of the year. This park includes a dogs off-leash area with water front access. Englishman Harvey Hadden purchased this site in 1928 from the Canadian Pacific Railway for the sum of $44,000, a tremendous amount of money at the time. 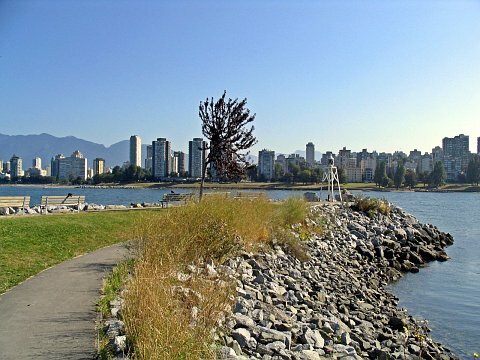 He is quoted as saying, “Vancouver’s been good to me and now it’s time I was good to Vancouver.” Hadden then turned around and donated the waterfront property to the Park Board and gave them an additional $5000 to develop the area. He envisioned a bathing beach, especially for use by women and children. The Maritime Museum opened on June 11, 1959 and it most famous component, the St. Roch Historic Site, a retired RCMP vessel, was officially opened on June 23, 1966. 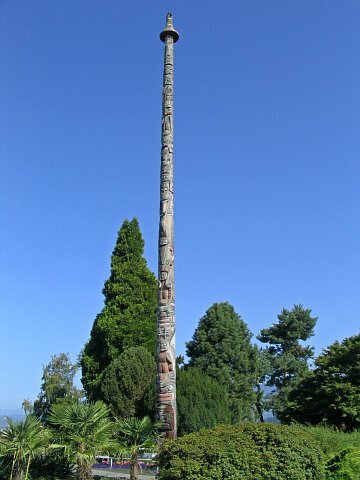 A totem pole to commemorate British Columbia’s Centennial was erected on October 15, 1958 standing 100 feet tall and carved by Kwakiutl Chief Mungo Martin from a 600 year old cedar tree.